Hope you guys remember about the Oppo Find X smartphone that was launched with first Pop-up front camera from the brand last year in Europe. The game continues. The time is for Oppo Find Z smartphone and this could be the successor of Find X futuristic mobile phone. The leaks are around about the Oppo Find Z that might come with 5G features. OPPO has recently released R17 Pro and R15 Pro smartphones with high-end features. The brand has even introduced the Hyperboost technology for speed and cooling purpose to attract the gameplay customers, precisely. Oppo Find Z smartphone may be a flagship one and is expected to come with Qualcomm's Snapdragon 855 processor along with 12GB or 8GB RAM to enrich with the 5G speed. This is the first 5G mobile phone that got leaked ahead of its launch. Oppo Find Z phone's leaked or rumor news may or may not be a correct one until and unless its official info received anytime soon. However, almost all the brands are planning to launch SD855 processor and 5G feature's device as soon as possible to go with stiff competition in 2019. 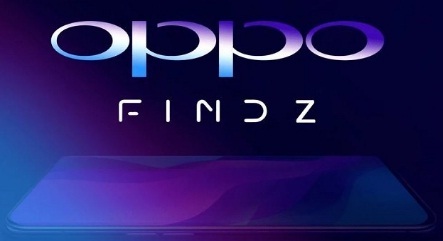 Oppo Find Z device may introduce in MWC 2019 and the phone may come with 10X loseless zoom, in-display fingerprint sensor and many more features. If you are looking for Oppo Find Z phone's launch date, release date, sale date, key features, technical specifications, price, first impression, unboxing, comparison, review and hands-on etc. then you could find some of them over here, very soon.